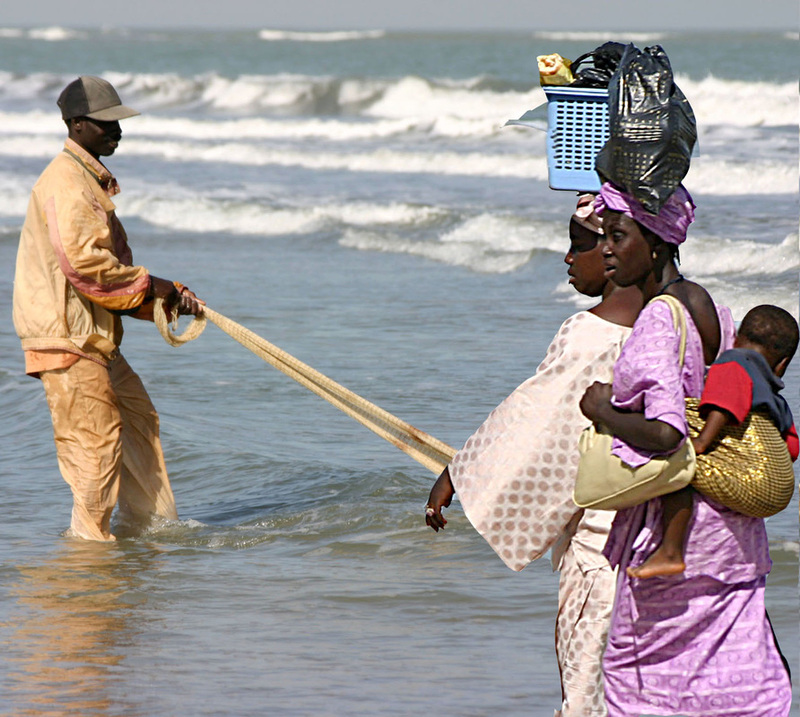 According to the 1993 census, the Gambia has a population of about 1.7 million people living in about 6,524 sq. miles. According to the same report, about 63% of the people lived in the rural areas. However, following new government policy decisions, this trend is changing. Efforts are being made to attract more people, especially young people, into urban areas in search of jobs, education, and improved lifestyle, through modernization and development projects. The rural areas have a very high emphasis on tradition, especially attire and festivals. According to 2005 records, the infant mortality rate is about 97 out of 1000 births, while life expectancy is about 59.9 for females and 57.7 for males. There are various ethnic groups in the country including the Madinka tribe (the largest), the Fula tribe, and the Wolof, Jola, and Serahule tribes. Gambia is the smallest country on the African continent, surround on three sides by Senegal and to the west by the Atlantic Ocean. The plateau region has attractive cliffs and beautiful sand beaches. The country footprint follows the course of the Gambia River, the primary source of fresh water, as it flows westward through the center of the country and empties into the Atlantic. As one of many countries that were once under British colonial rule, The Gambia, commonly simply called Gambia, is an English speaking country and a member of the commonwealth. 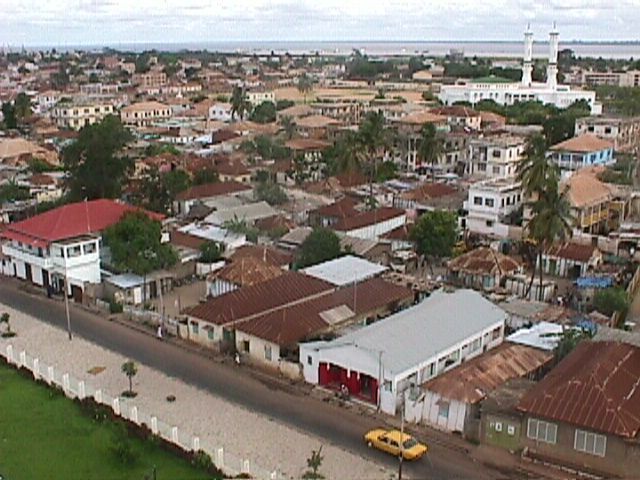 The capital is Banju and the largest city is Serrekunda. The country is on the same longitude as Greenwich, so the time is +0000 UTC. The national currency is called the Dalasi. The Gambia has a tropical climate with 5months (from June to November) of wet season and 7 months of dry season (from November to May). The rainy season peaks between August and September. The dry season is normally associated with the Harmattan wind, keeping the temperature between 69-81 degrees Fahrenheit The climatic condition in Gambia is similar to the climate in the neighboring countries like Senegal, the southern part of Mali and northern Benin. 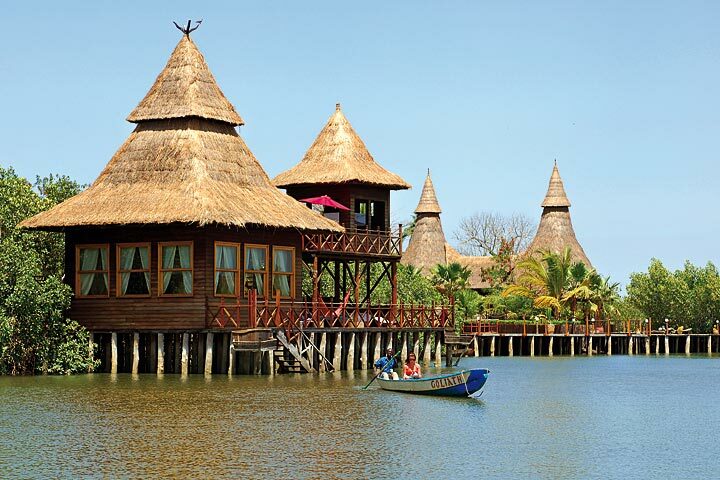 At its widest point, Gambia is only 30 miles from north to south, and about 199 miles from east to west, with a coastline just under 50 miles long. Of its total area of 6.524 sq. miles; only about 808 sq. miles is covered by water. There are sandy beaches and lush tropical forests that have a serene environment for a newly wedded couple or friends to enjoy. According to the Arabs that traded in the area in the 9th and 10th centuries, there were several Arab settlements created by the Mali Empire focused on commercial activities. Arab presence in the area made a significant impact on the lives of the people, and they are still influenced by the Islamic religion. Commercial activities increased in the 15th century to attract Portuguese merchants who became the major traders in the area, and they behaved as though the land belonged to them. Their presence also attracted some British trading companies. The relationship between the British and Portuguese merchants were so positive that the Portuguese sold exclusive rights to the English merchants. After some years, governance and control of Gambia shifted to the UK in the guise of the English merchants. There are things to see experience at night in the Gambia. There are many entertaining bars, cafes, and clubs all over the place. 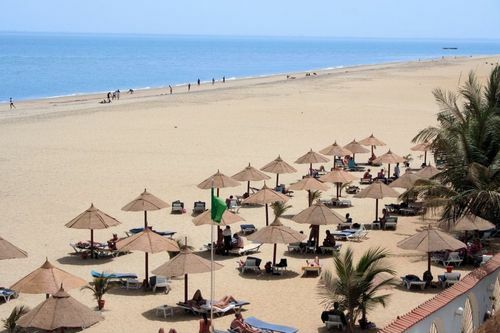 Two interesting hotels are the Senegambia Hotel and the Kombo beach hotel, because of their location on the beach and their rich restaurants. On the beach of the Senegambia, the Sizzlers you can enjoy the reggae party every Sunday night from about 11pm to 5am. There is also a club called Joko in Serekunda whose main objective is to satisfy party loving ladies by giving them soft drinks and food for free after paying a small initial gate fee. 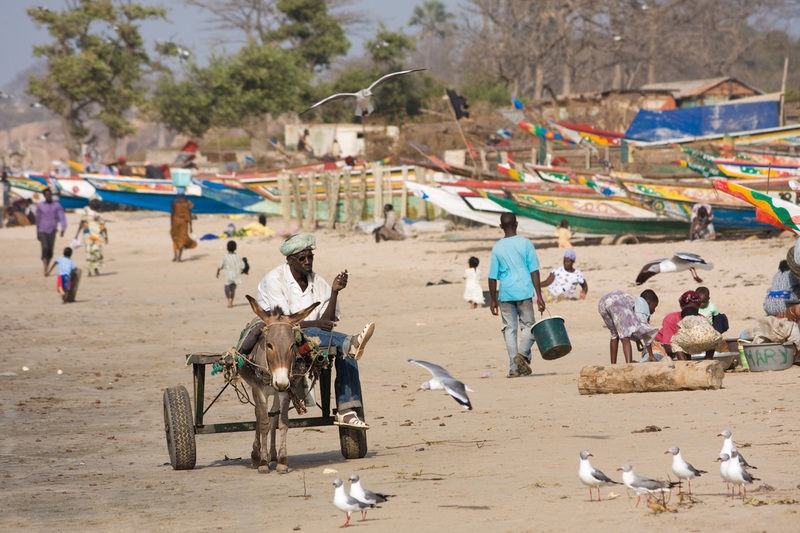 The Gambian culture is rich and diversified, with many different ethnic groups, each with their own unique traits and traditions. They speak different languages although English is the official language. There are festivals during certain periods of the year and the people enjoy dancing and singing a lot. In fact, they are known for excellent music, and are skillful in the arts. Local museums house various significant designs and sculptures. In the matter of marriage customs, it is the responsibility of the males to pay a dowry to the females' family. Relatives frown upon inter-ethnic relationships. The Gambians enjoy a lot of variety when it comes to food, possibly as a result of the various tribal traditions. The major food is rice and other staple foods include steamed millet, couscous and cassava. Their local soups are prepared with peanut butter pastes (called damoda), okra, palm oil, spinach leaves, or cassava leaves. The most irresistible meals are damoda, "supakanja" (okra stew), "benachiri", chere, and yassa. The poor in The Gambia are not left out because there are cheap and quality foodstuffs such as the mbahal (a mixture of rice and grated peanuts) and dried bonga fish. English delicacies are common in the urban areas. For breakfast, most Gambians, especially the workers and school children, take bread and tea, with butter, jam, or fried eggs. Some also like noodles, flakes with added yogurt, tinned milk, or beverages.